I should like Gilbert and Sullivan better than I do. But I don’t. I’m fairly well rounded musically, but I need only to hear the opening strains of “I Am The Captain of The Pinafore”, or “Three Little Maids Are We” (am I the only one reminded of the Andrews Sisters?) and I’m looking for the exits. It’s interesting, because in Blue Hill, the town where I grew up, Serious Music is a Big Deal, and in addition to our better known musical attractions, like the Kneisel Hall Music Festival, we claim two major footnotes in the history of Gilbert and Sullivan performance in the United States. 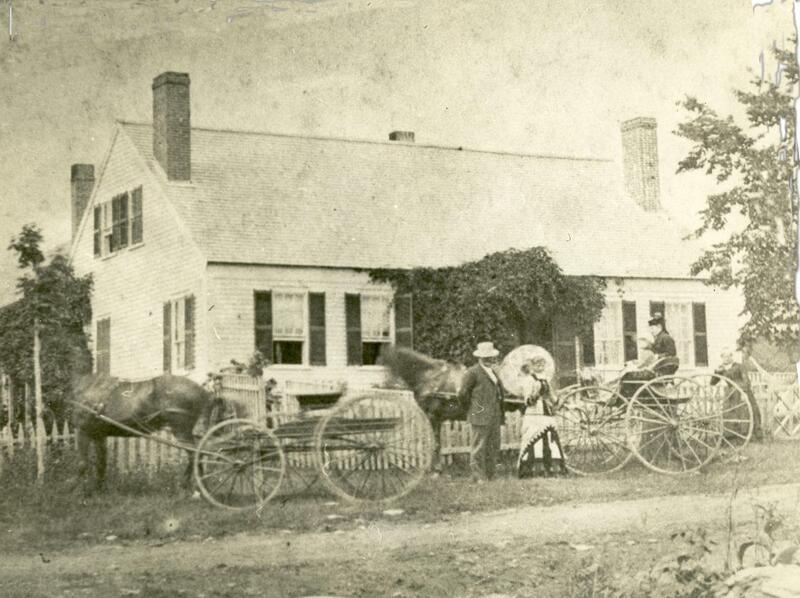 Effie Hinckley Ober was born in Sedgwick Maine, a few miles from Blue Hill, in 1844. In an unusual path for a single young woman from the hinterlands in the 19th century, she found her way to the city, where she launched a career as a theatrical agent. 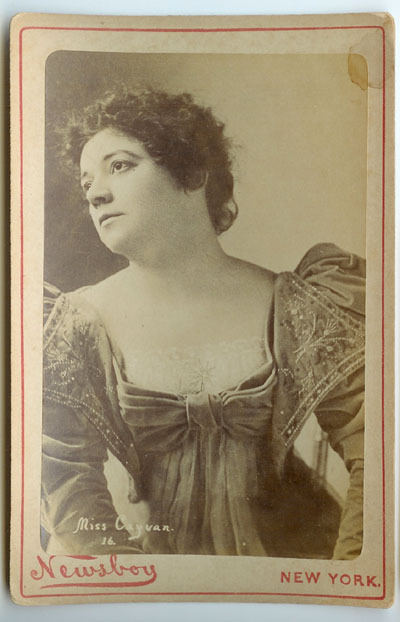 In due course, she caught a performance of Gilbert & Sullivan at the D’Oyly Carte in London, and decided to bring Pinafore to the United States. Thus was started the Boston Ideal Opera company, specifically to stage an ‘ideal’ performance of the operetta in November,1878. The performances took place on a ‘ship’ in a lake in Boston’s Oakland Park. Within weeks, ‘Pinafore had captured the popular imagination, and Miss Ober and her top notch troupe of performers took to the road, performing Gilbert & Sullivan and other light opera across the continent. They were for a time probably the premiere touring company in the country—a fact memorialized in a scene from the movie Tombstone’, in which the Ideals come to perform, prompting one character to ask, “who’d ever expect to hear Gilbert & Sullivan in a town like this?”. 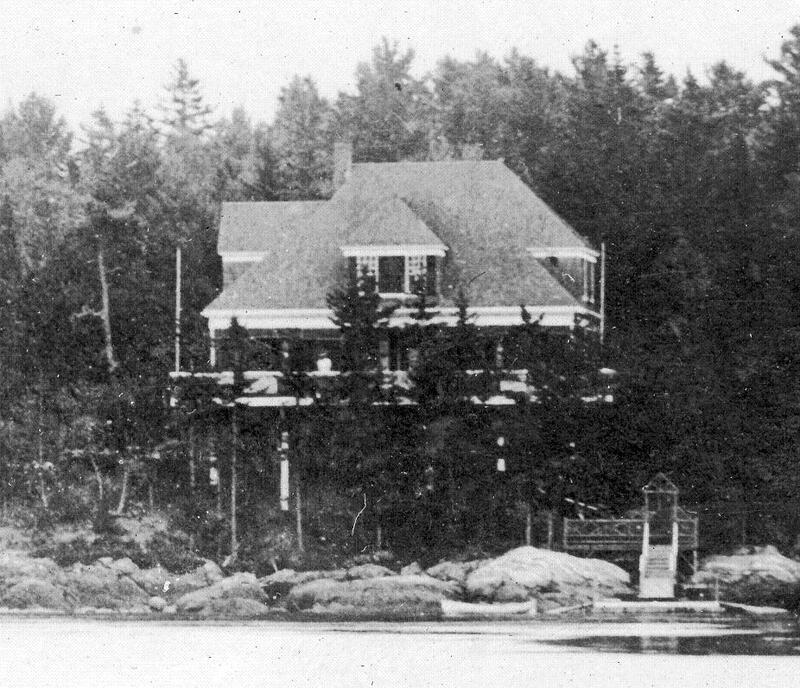 The same view after the remodeling of 1888. 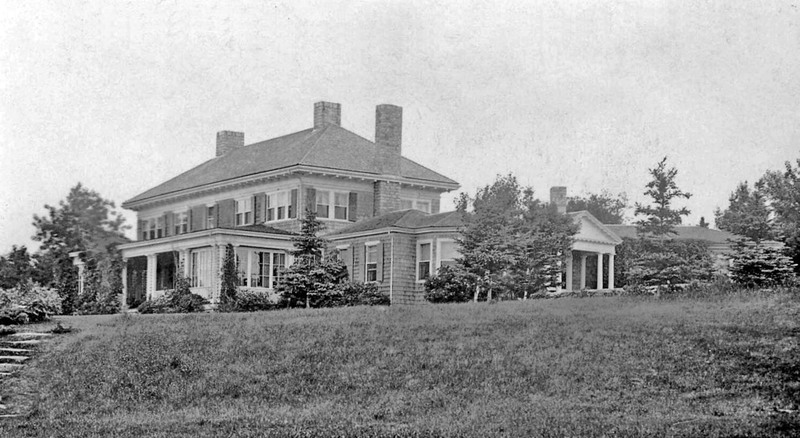 In 1888, Effie Ober & Virgil Kline were married in Blue Hill, and moved into her parent’s former home, which they had had George Clough remodel in the latest style. This remodeled cottage was known, of course, as ‘Ideal Lodge’ after the new Mrs. Kline’s opera company. 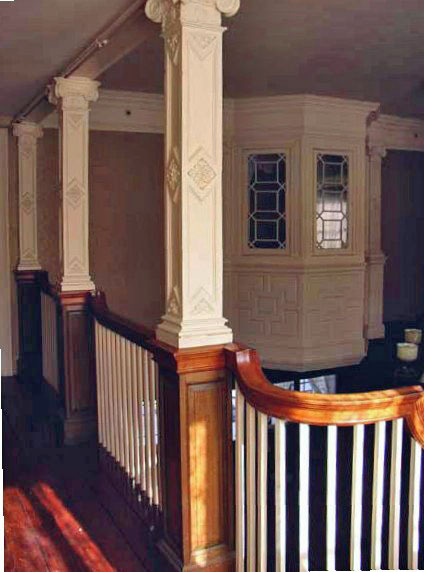 Heavily inspired by recently published works by McKim, Mead and White (notably the Narragansett Casino and the Osborne house at Mamaroneck) and William Ralph Emerson, the house, with its two story great hall with divided staircase and internal oriel window, was a suitably theatrical backdrop for Mrs Kline. 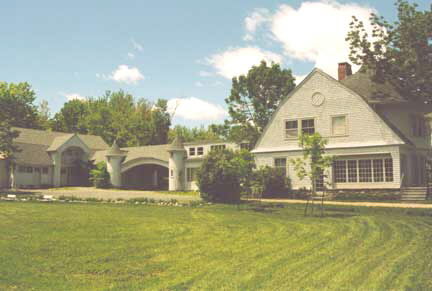 The service wing of Ideal Lodge with carriage arch inspired by the Narragansett Casino. 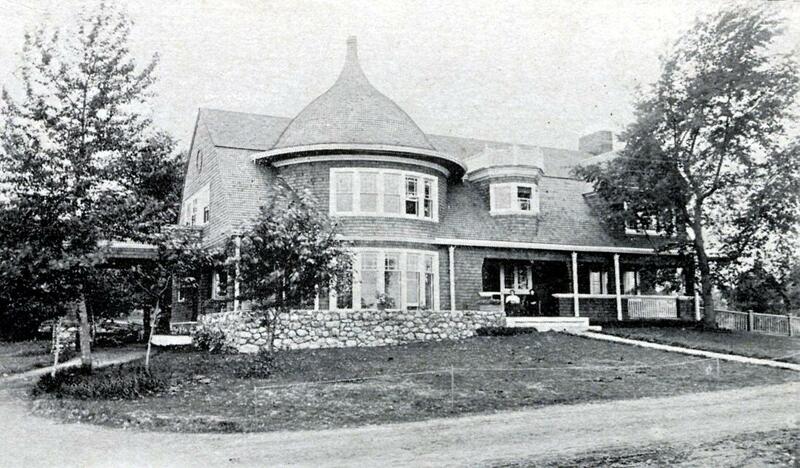 After Mrs. Kline’s death, Ideal Lodge became the summer home of another colorful woman, the Countess of Santa Eulalia, born Elizabeth Shindler of Indiana, made rich by her second husband, hat manufacturer John Stetson, and a countess by her third, the former Portuguese consul in Chicago. 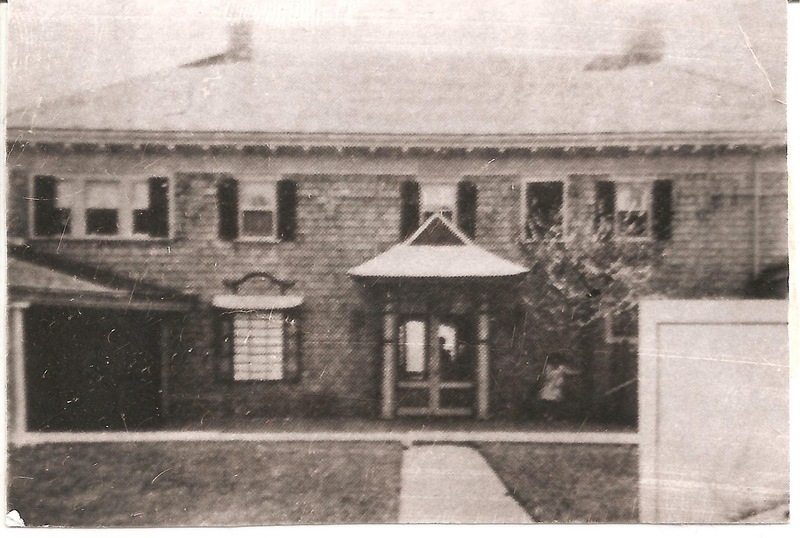 After her death, the house was owned for a time by her Stetson children. In the 1960’s, the once elegant summer neighborhood it had anchored began a slow drift toward commercialism, and the cottage, after falling on hard times, is now a restaurant and inn known as Barncastle, for its combination of gambrel roofs and chateauesque turrets. Act 2. Hey Kids, Let’s put on a show! In the early 1900’s, the granddaughters of John Ellingwood Donnell traveled up to East Blue Hill, Maine, to visit a defunct granite quarry that he had purchased years before. Delighted by the rocky oceanfront meadows they encountered, one of the granddaughters pursuaded her surgeon husband, textile heir Seth Milliken, to build a large summer bungalow on the property. 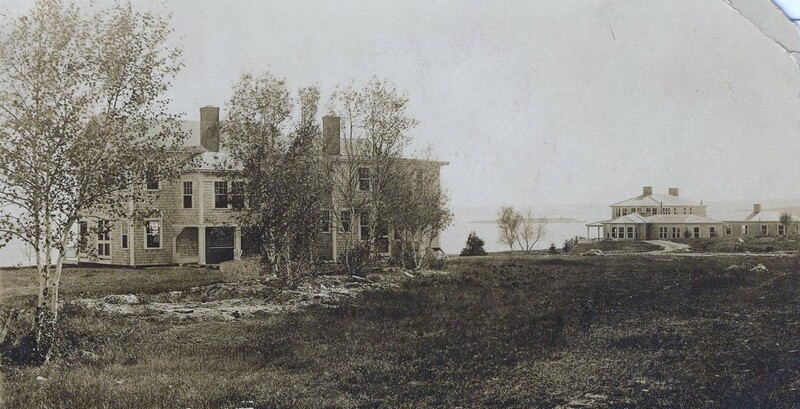 In due course, other structures were added, and the property, known as Ellingwood after Mrs. Milliken’s grandfather, became a considerable estate. The Millikens and their five children would arrive each summer, with a bevy of maids, chauffeurs, governesses and tennis coaches in their wake. 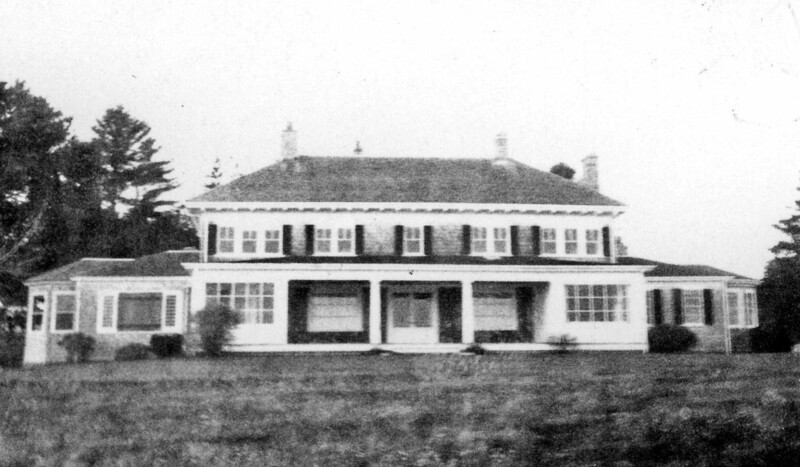 The Milliken estate in 1912, with the newly constructed main house, ‘Wing and Wing’, later setting for The Mikado’, in the background. In the summer of 1924, despairing of the pernicious influence of the roaring twenties on their five children, Alida, Martha, Minot, Seth and John, Dr. & Mrs. Milliken added a music coach to the summer staff, hoping to provide an alternative to movies and fast parties. 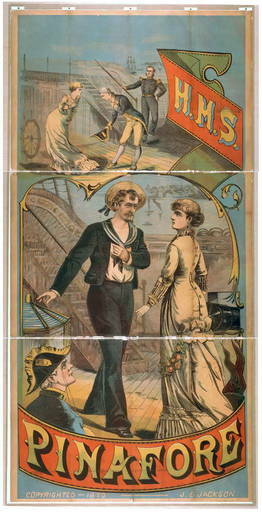 The idea was had to stage a performance of ‘HMS Pinafore’. Children from other social families on nearby Mt. Desert were recruited for starring roles and chorus. 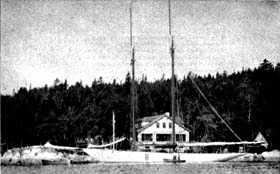 The Milliken’s 103 foot Herreshoff yacht, ‘Shawna’ would stand in for the Pinafore, classical music students, studying with their instructors for the summer would provide musical accompaniment, and car headlights would provide illumination. The commodious stone porches of the boathouse would house the audience, which included, by the way, the Dilettante’s grandmother, who remembered it as ‘just magical’. One wonders if Effie Ober Kline, who had brought ‘Pinafore’ to America 45 years earlier(damn her), by then 80 and still summering in Blue Hill, was in the audience. It seems very likely so, but there is nothing in the record to answer the question, and all who would know are now dead. I wish I had wondered a decade ago. The performance was a great success, and the following autumn, when everyone was back in New York, it was decided to put on another performance, this time in the marble stair hall of the Milliken’s townhouse at 951 Madison Avenue (now the site of the Whitney Museum). By the next summer, the performances had become a tradition, and they mounted a performance of ‘The Mikado’, at ‘Ellingwood’, using the formal garden and courtyard of the main house, known as ‘Wing and Wing’, decorated for the occasion as a Japanese temple. Another rousing success, the group decided to become an official entity, and perform in New York for the benefit of charity. And thus was born the Blue Hill Troupe, possibly the most respected, and social, amateur Gilbert & Sullivan troupe in the country, which has since raised millions for charity, including a return engagement to Blue Hill a few years ago. Mrs. Milliken had yet another claim to fame. Rich, fashionable and social, she was also a fanatic right winger, and as mother of one of the John Birch Society’s major supporters, she derived great pleasure from playing bridge with her friends, using her special set of John Birch playing cards.